Travelling to or from Norway? My Baggage offers super fast, convenient and affordable luggage shipping services, allowing you to travel luggage free. Whether you’re travelling for business or for leisure, studying abroad, or emigrating with your family; My Baggage can help you to easily transport your belongings to Norway. My Baggage provides convenient and stress-free door to door luggage shipping services, helping you to save time and money when it comes to transporting your luggage abroad. Norway is one of three Scandinavian countries located in Northern Europe, with borders to Sweden, Finland and Russia on the east side, and an extensive coastline facing the North Atlantic Ocean on the west side. The country boasts a population of just over 5.2 million. The major cities in Norway are located along its extensive coastline. 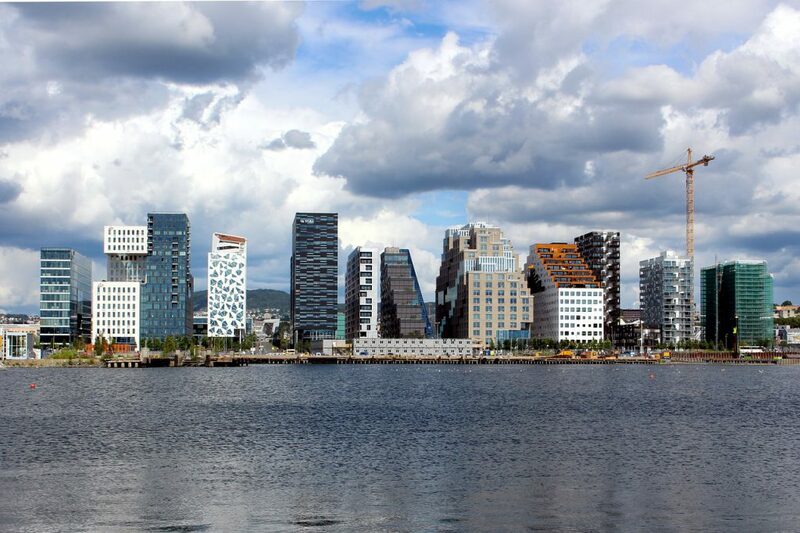 Oslo, the country’s capital, is also the largest city, boasting around 620,000 inhabitants. Other major cities are Bergen and Stavanger. The climate can be extremely varied depending on the location and, of course, the season. The northern regions of Norway experience long, dark winters, as well as midnight sun during the summer months. On the west, the climate is mild. Norway has been repeatedly ranked as one of the best countries to live in, largely based on average levels of education and income, combined with life expectancy, human rights, cultural freedom and the fact that it has one of the lowest crime rates across the world. 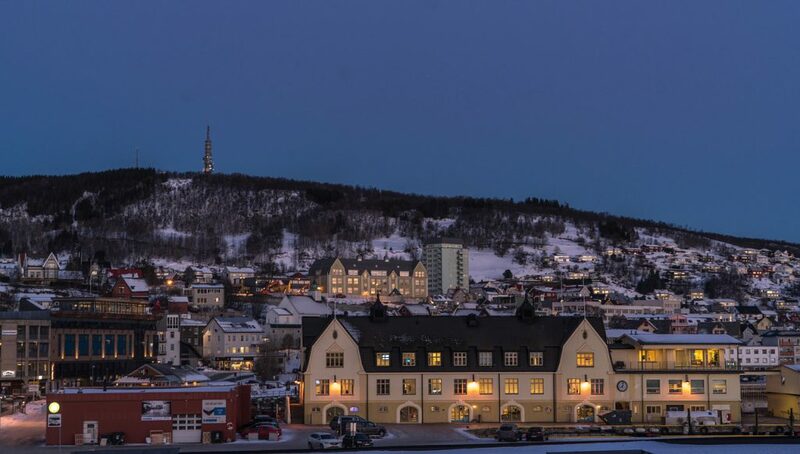 If you’re hoping to further your academic horizons abroad, Norway is an ideal choice. Norway is becoming an increasingly more popular choice for international students from all across the globe, and it’s easy to see why. Norway’s educational system is generally state-supported, ensuring access to education is equal for all. As such, this means that most institutions have no tuition fees. Student life in Norway is rich, social and active. To send a care-package to a loved one in Norway. Whether you’re relocating to Norway, or perhaps simply enjoying some time out travelling; My Baggage’s generous weight allowance and the ability to send as many items as you like can come in useful. It allows you to bring many more possessions with you than if you were simply relying on a few checked pieces of luggage when flying with your airline. Shipping your excess baggage to Norway with My Baggage makes that dreaded, all too tedious wait for the appearance of your suitcase at the luggage carousel in the airport a thing of the past. (Not to mention the possibility of your suitcase not appearing at all, which is every traveller’s worst nightmare!) My Baggage ships your luggage quickly and safely. Do your research on Norwegian quarantine and customs. As well as shipping your luggage to Norway, My Baggage can also help you to transport goods you may wish to bring with you that are typically regarded as oversized. Goods such as sporting equipment and excess baggage, which when booked on your flight, can potentially substantially increase the overall cost of your trip. With My Baggage, you can send thoughtful gifts and care-packages to your loved ones living overseas. Before proceeding with your booking, be sure to do some search into customs regulations, particularly when it comes to sending gifts. Make sure to package your items in a sturdy, double-walled cardboard box and cushion items with plenty of internal packaging, so as to avoid any damage occurring whilst in transit. If you’re worried about your luggage exceeding the weight allowance on your flight, you can erase that worry by shipping it ahead to Norway with My Baggage. That way, you can avoid the excess baggage charges and still bring plenty of belongings with you. Norway is a fantastic destination for enjoying a range of sporting activities, such as skiing with their long ski seasons, and even cycling which is best enjoyed in the warmer months. If you hope to bring your own sports equipment with you to Norway, My Baggage can help you. We help you to transport large items all over the world, so you don’t have to worry about renting equipment when you get there. 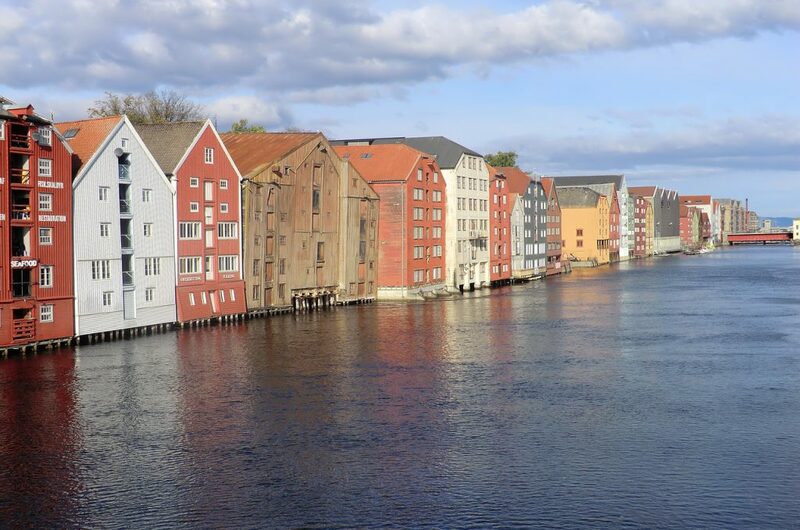 Interested in furthering your academic horizons by spending a semester abroad in Norway? Or perhaps you want to see out the duration of your degree course abroad? My Baggage can help you to transport all of your belongings straight to your new home on campus. Whether you’re studying at the University of Oslo, or perhaps elsewhere. The My Baggage team is made up of former students and recent graduates, so we understand how stressful the prospect of moving to university can be – not to mention moving to university overseas! Therefore, we make it our top priority to make your experience as stress-free as possible. Our convenient student shipping services to Norway allows you to relax and enjoy what should be one of the most exciting times of your life. Want to know what other students think about My Baggage? Read our reviews. It is also important to be aware that there are a number of items that can be carried on our services, however, they are not covered under our compensation cover and would be sent at your own risk. If you choose to send any non-compensation items, please ensure they are packaged appropriately, with plenty of internal packaging for fragile items. Please note that import allowances, security and customs processes differ all around the world; we recommend that you do your own personal research into what may be prohibited in your destination country before booking your shipment to Norway. When sending your belongings to Norway with My Baggage, we recommend using either suitcases or strong cardboard boxes to package your items so as they are suitable for transit. Relocating to Norway on a permanent basis? If so, you might consider transporting all of your worldly belongings with a reputable international removals company. Traditional international removals are ideal if you need to send a number of large items that may be otherwise difficult to transport, such as furniture, i.e. sofas, or perhaps even your car. The cost and timescale of your removals can vary greatly depending entirely on the scale of your move. Many traditional international removals companies will offer convenient door to door collection and delivery services – though it is always worth noting that some may require you to arrange transportation of your belongings to and from ports yourself. Not only does My Baggage ship personal effects to Norway, but we can send parcels and gifts, too. Why not send a thoughtful care-package to your loved one living overseas? When shipping goods to Norway, you are legally required to complete and send a customs declaration with your shipment. Whether you’re sending personal effects in a suitcase or a gift to a loved one; if your shipment does not have customs documents attached, it will not make it past your local country border, and you may have to pay return charges to get it back. My Baggage will automatically provide you with the appropriate customs documents for you to complete, print, sign and attach to your shipment when you book with us. Generally, My Baggage shipments clear customs in a timely manner, free from duties and taxes, as most countries offer a generous duty-free allowance for personal effects. However, as customs processes and allowance are different around the world, and because My Baggage has no control over any customs authority; we do advise doing your own personal research into Norwegian customs regulations and quarantine before booking your shipment to Norway. Please make yourself aware of potential customs duties in Norway and be sure to follow any and all advice provided by customs directly. Norwegian customs in particular typically view personal effects as used items that have been in the sender’s possession for 6 months or more. It is important to be aware that if your shipment is checked by Norwegian customs and is found to contain brand new or commercial items, your shipment may be assessed for customs duties and taxes. My Baggage makes shipping your luggage to Norway completely effortless. Our easy to use online booking system is available 24/7 and takes just a few short moments to complete. Simply start by obtaining an instant quote straight from our website. Once you’ve booked with us, we’ll send you some shipping labels to print and attach to your items. After that, you can sit back and relax as we take care of everything else for you. Cheap luggage shipping services to and from Norway. 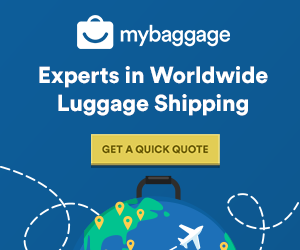 International luggage shipping to over 200 countries worldwide.